Come festival season, we flock to our trusted ‘masterji’ or boutique for a wardrobe updo. Despite having a never ending collection of sarees, kurtis, ghagras & anarkalis, we can’t seem to have enough clothes. The trick lies in building a sensible wardrobe; one that has timeless pieces that can be mixed &matched , reinvented & worn time and again. Learn how to build a reusable wardrobe. 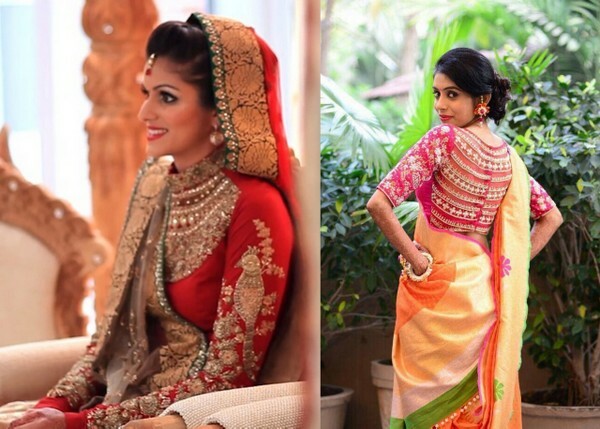 Here are our top 5 picks that every Indian woman must have. 1. Maharani Blouse – This blouse has been trending ever since Sabyasachi decided to give it a comeback. Today these blouses are available in a myriad shades with varying sleeve lengths everywhere from Lajpat Nagar Market in Delhi to your local boutiques. Pick up one of these in a solid color & you won’t regret. Better yet, go for one in black or a shade that would best compliment the saris in your wardrobe. The trick is to pair it with a complimentary color like a red blouse with an off white saree. The blouse has the ability to instantly glam up an outfit. All you need is statement earrings and you are ready to go. This is particularly useful when you want to avoid wearing too much jewelry.